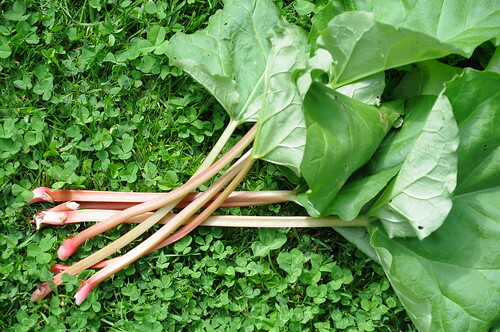 This rhubarb is the first thing I’ve harvested from our garden at home. I tried out this recipe for Strawberry Rhubarb Crumble and it is incredible. The topping includes oats, toasted pine nuts and a bit of black pepper! I didn’t have any Port, so I omitted that. I also substituted the special flours and sugars for the ones I had on hand. This is going straight into my permanent recipe box. Strawberry & rhubarb is probably one of the best flavour pairings, ever!